Finish your Christmas shopping, enjoy some delicious food and visit Father Christmas. 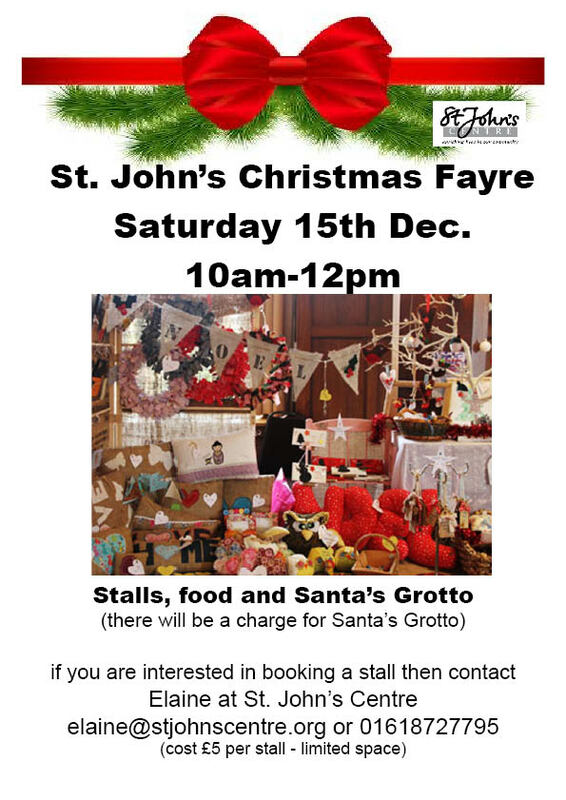 If you would like to book a stall, please contact Elaine on 0161 872 7795 or elaine@stjohnscentre.org. Cost £5 per stall – limited spaces.